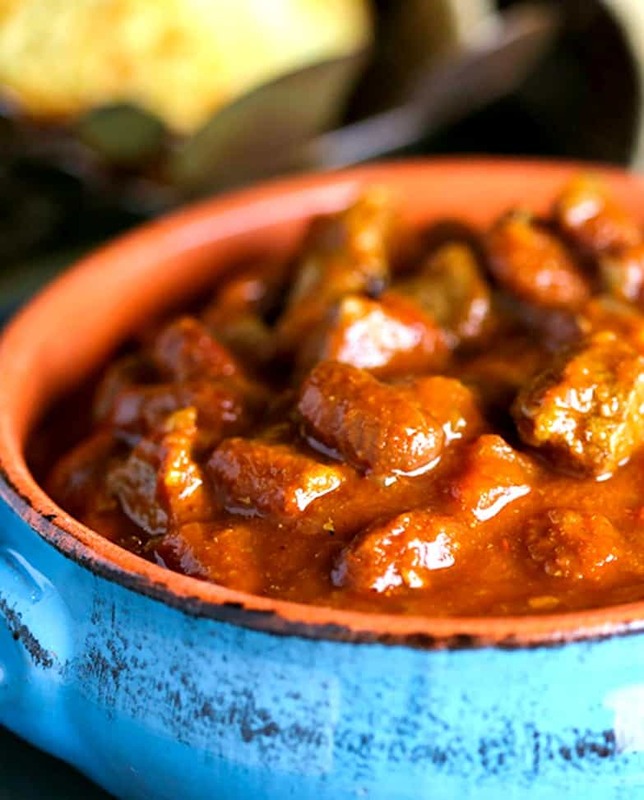 Thick and spicy Slow Cooker Tex-Mex Chili with big chunks of beef and red kidney beans gets kicked up a notch with jalapeños and fire-roasted green chiles. For the past 200 years, America has had a chili obsession. 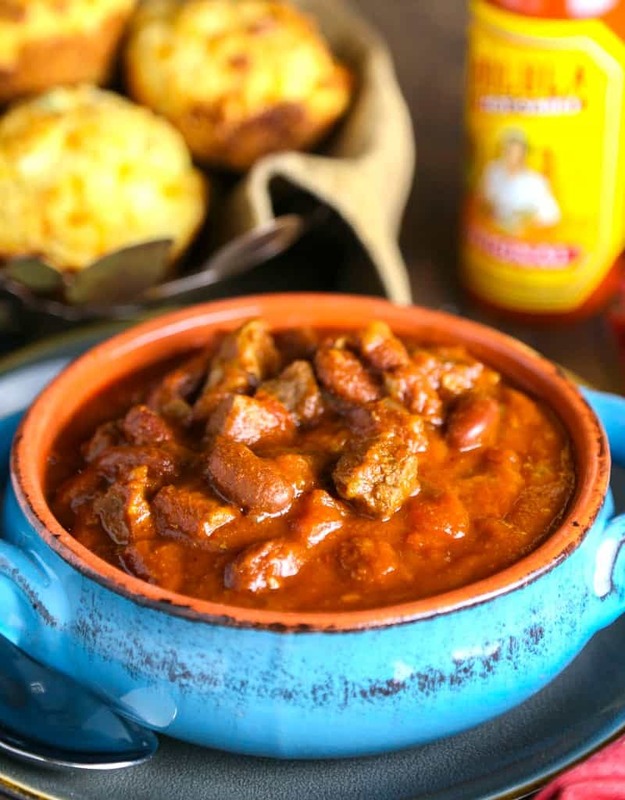 You can bet that once the weather turns cool the slow cookers come out and secret family recipes make their appearance at Chili Cook-Off contests across the country. So, why the craze? No matter if you like your chili with or without beans, spicy or mild, there’s nothing better on a cold day than a piping hot, filling bowl of chili. Most chili recipes start with the basics—meat, beans, tomatoes, and onions—and after that the creativity begins. 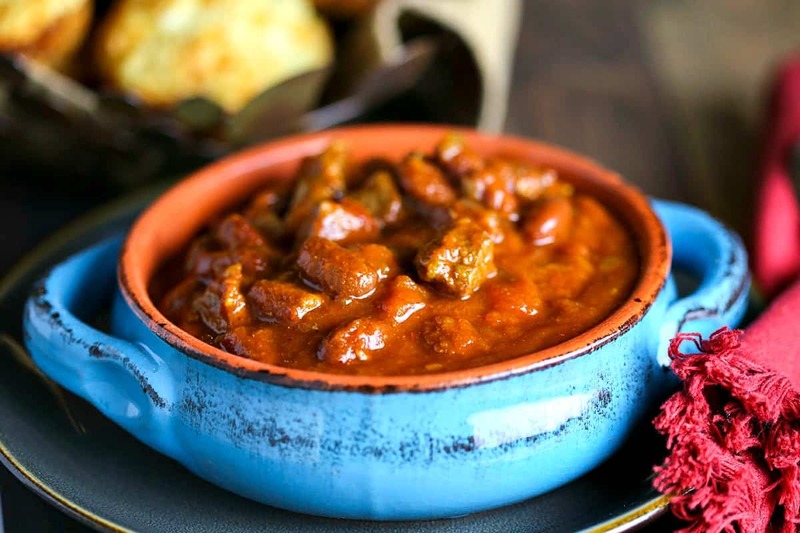 This Slow Cooker Tex-Mex Chili is a thick and hearty stew with chunks of beef, red kidney beans, onions, tomatoes, garlic, jalapeños, and a mix of spices. Warm and filling, the heat of this chili can easily be adjusted to your taste. Add more or less jalapeños with or without the seeds and use mild versus fire roasted green chiles to suit your palate. One reason chili is so popular is that it is typically an economical home-cooked meal. 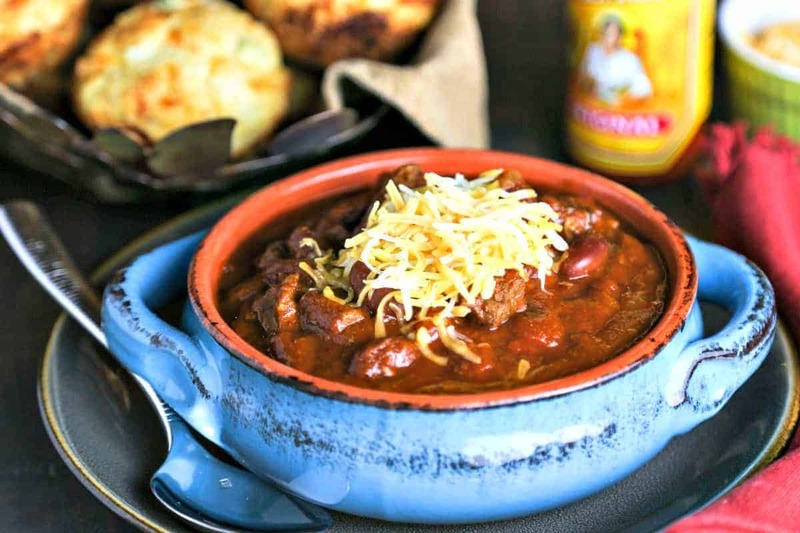 History has it that the American chili recipe originated in Texas and in 1893 chili con carne was featured at the World’s Fair in Chicago at the San Antonio Chili Stand. Almost 100 years later, at the 1982 World’s Fair in Knoxville, the “Petro,” a sliced open bag of Frito’s piled high with chili and toppings, was introduced. It was so popular that a fast-food chain was born, Petro’s Chili & Chips, and now has several locations in Knoxville and other parts of East Tennessee. 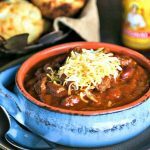 Thick and spicy Tex-Mex style chili with big chunks of beef and red kidney beans in the slow cooker. Heat 1 tablespoon oil in a large skillet over medium-high heat. Add beef and cook and stir until browned; about 10 minutes. Remove the beef with a slotted spoon and place in the bottom of slow cooker. In the same skillet, add the diced onion, jalapeño peppers, and garlic. Cook until the onions are translucent, about 5-7 minutes. Stir in the remaining ingredients except for the beans. Continue cooking for 5 minutes, stirring to incorporate the tomato paste. Pour mixture into slow cooker, add the kidney beans, and stir. Cook on low for 6 hours. If desired, serve with shredded sharp cheddar cheese, diced green onions, or cilantro. This was fantastic! Thanks for sharing your recipe!! !